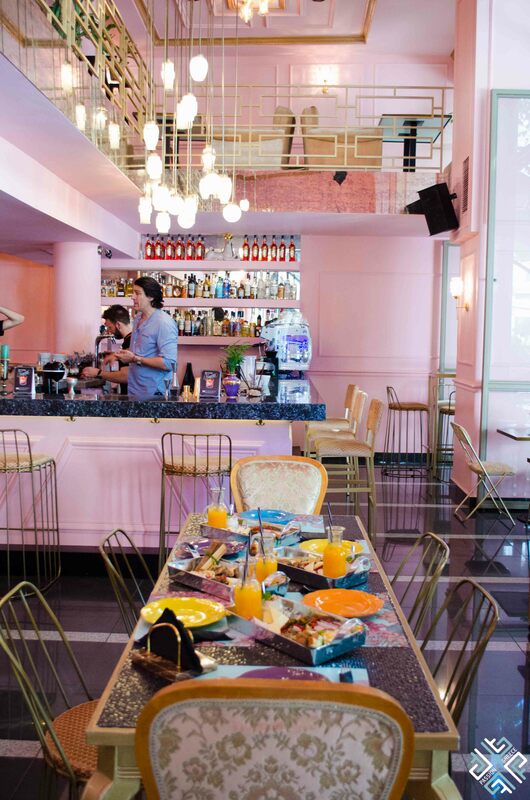 Set in the heart of Agia Eirini Square the brand new Otto Resto Bar is what one can call playful and Greek. Find yourself in an aristocratic setting where dusty pink hues dominate the surrounding walls, and the timeless chandeliers add a touch of mystery to this fairytale land of flamingos in Athens. My love for flamingos has been evident lately, and to find a place where you can enjoy the flamingo presence outlined on the colourful placemats is like a breath of fresh air — indeed! Looking for something refreshing, traditional yet unique — Otto Resto Bar is a great place for all times of day. Breakfast is the most important meal of the day — start your morning right with a power breakfast! Just to give you an idea of what the Greek breakfast at Otto is like, keep reading until you reach the Surprise! This breakfast delight includes: Eggs, graviera cheese from Crete, turkey ham, pleurotus mushrooms, spinach pie, yoghurt with honey, walnuts and a freshly squeezed juice of your choice! Ladenia is a traditional Greek pie which is a healthier version of pizza, a thick crust which is treated with olive oil and topped with smoked chicken, creamy feta cheese from Mytilene, Lesvos, eggs and cherry tomatoes from Santorini. 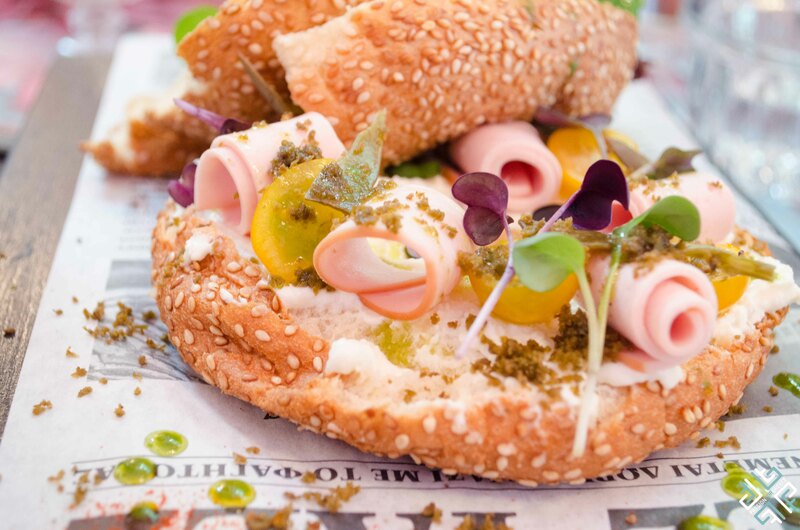 Koulouri from Thessaloniki is a delicious Greek bread ring topped with sesame seeds. It can be found in the cuisines of former Ottoman Empire and the Middle East. This delicious creation is served with creamy feta cheese, turkey ham, fresh greens and a touch of olive paste. There is also a great selection of Greek yogurts with healthy toppings like honey, fruits, berries and cereals. One sip of Otto’s smoothie and you think you are in paradise. A fine blend of fresh berries and strained yogurt is a must. For chocolate lovers they have created a tahini and coco blend and last but not least, the famous Salep served cold or hot. Winner will be announced on Tuesday 21 June, 2016. Good Luck!